One of the coolest parts of working with Limelight Photo Booth, is not knowing where the job might take you. As a photo booth that services all 50 states, travel is often on the menu. One of my favorite jobs so far was in San Diego, CA. You might have already guessed it, San Diego Comic Con. 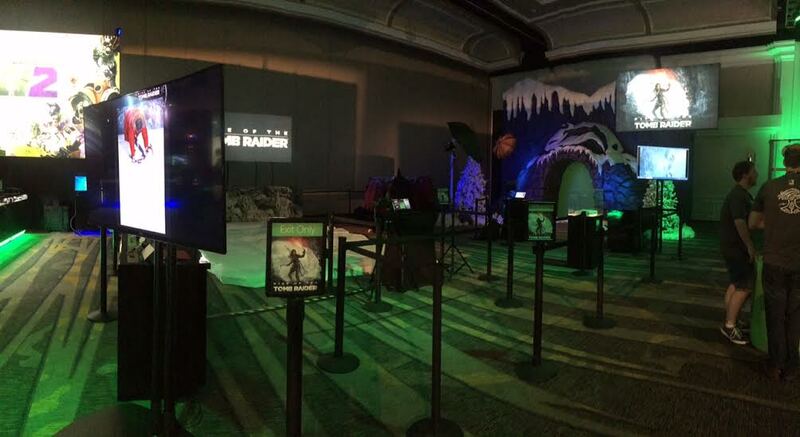 We partnered up with Xbox and Crystal Dynamics to work at the Xbox Lounge at the Grand Hyatt! This was no ordinary photo booth though! We were brought in to run two booths, one being a Green Screen GIF Booth, the other being a Studio Lighting Animated GIF Booth. Both were promotion for the new Tomb Raider game headed to shelves this November. Guests could dress up in full mountain climbing gear and go through each booth. We had social media sharing stations where guests could post their animated GIF with the #tombraider #sdcc hashtags. All guests got a print out of their best pose as well. Want to check out ALL of the GIF animations, see our microsite web gallery from Comic Con here: Click me! Next up we are headed to PAX Prime in Seattle Washington, hope to see you on the show floor!